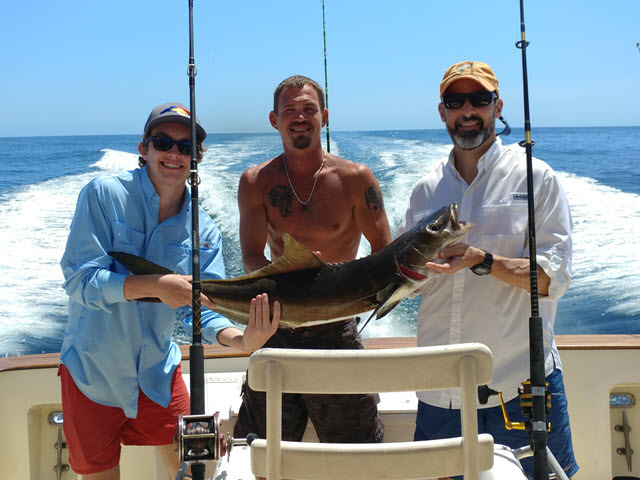 Amelia Island Charter Fishing Photos | Salt Water Fishing Family Fun! 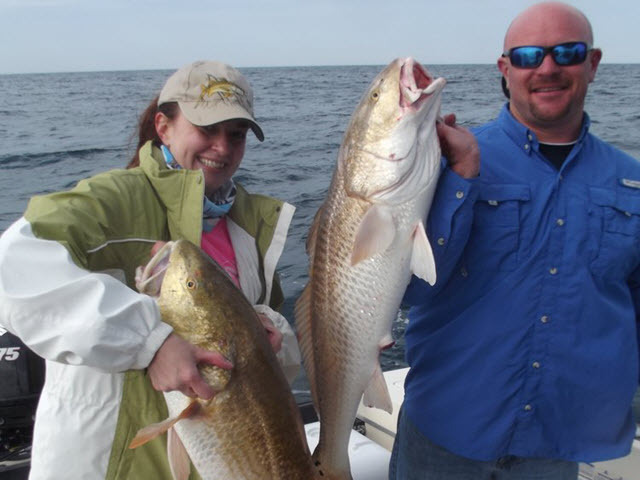 Our Charter Fishing trips at Amelia Island offer tons of salt water adventure, fun and excitement for the whole family! 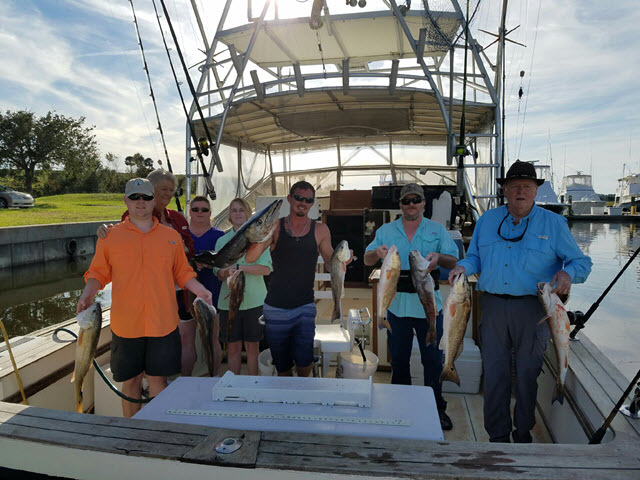 Whether you're looking to fish in the open deep sea or simply hang out near shore at the reefs or jetties, we've got the right fishing trip for you. The photos below are just a few examples of the adventure and fun that's awaiting you on every trip. Call now and book your next trip today! 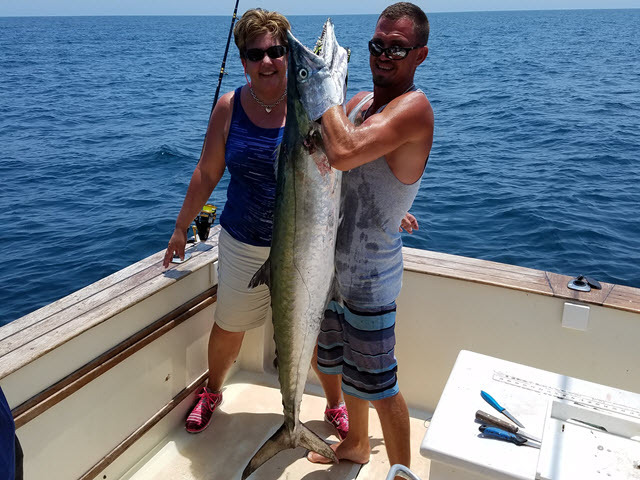 A great day of fishing in the Gulf Stream returns a great catch for Donnie and Cheryl Clark, their son Nathen and Cynthia Zimmerman from Clarksville, TN. 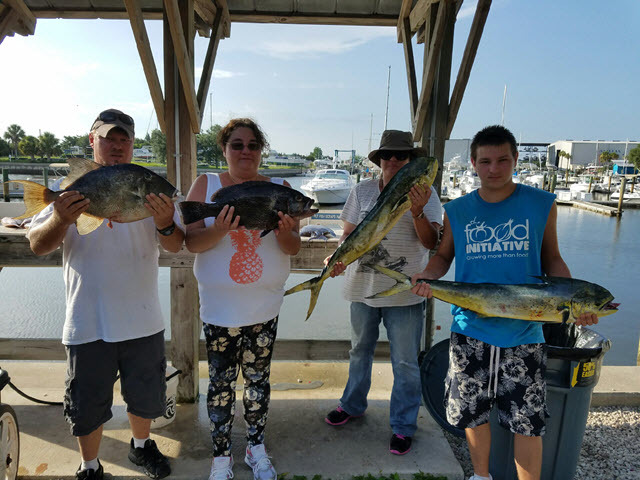 Their catch included Mahi, Tuna, Grouper, Grey Trigger Fish and a limited out on Pink Snapper! 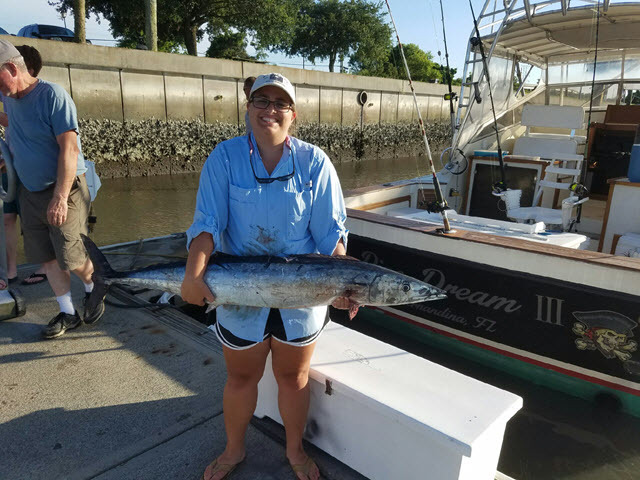 Nice 40lb Wahoo caught by Sara Farris. Way to go Sara! 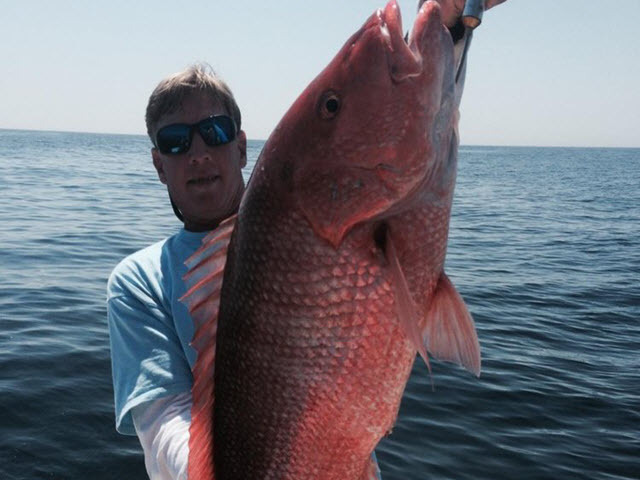 Matthew Millsaph caught this Smoker King while fishing with Pipe Dream Charters off Amelia Island. While slow trolling the Smoker hit on the down rigger set at 40 feet with a skirted live bait. 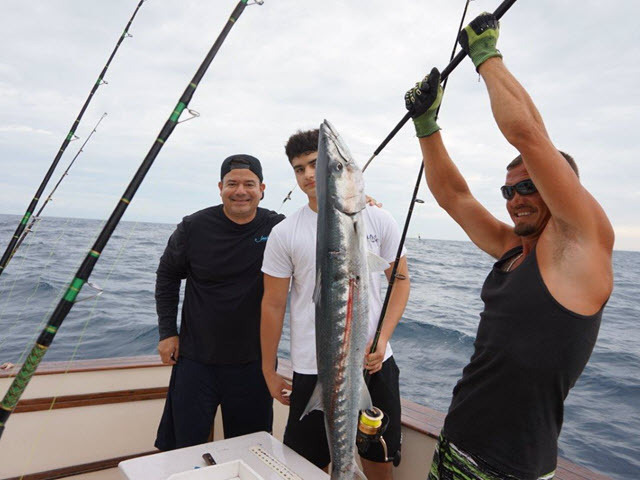 This was Matthew's first offshore catching excursion. What a way to start! 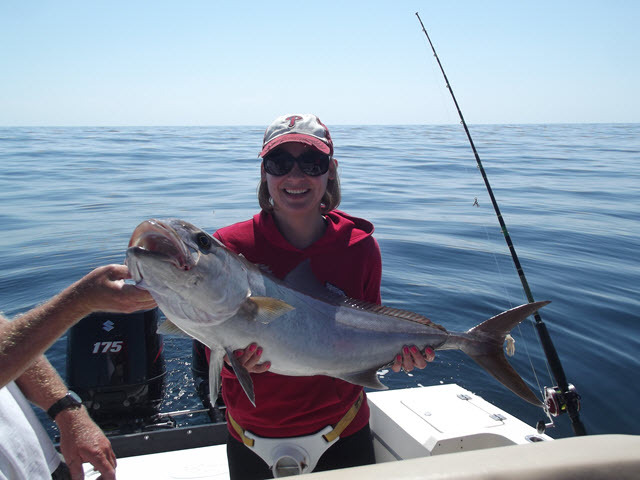 Kelsey Byers boats a 50 pound plus Kingfish catch of a lifetime! 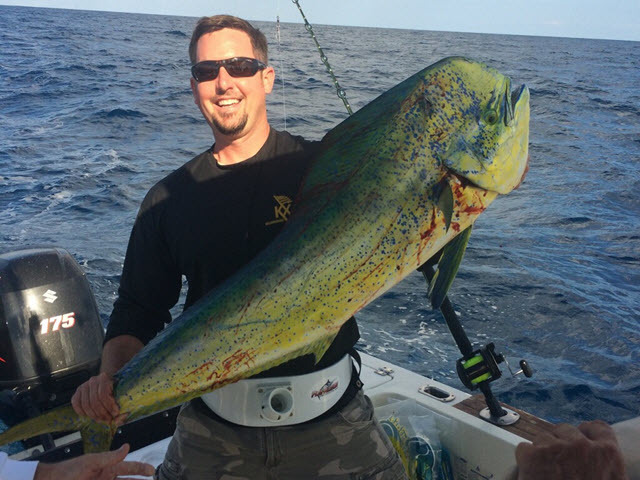 Cas Hans is a Maryland angler who had on his bucket list to fish the offshore waters of Florida. Here he's holding his Amber Jack and Cobia fish. 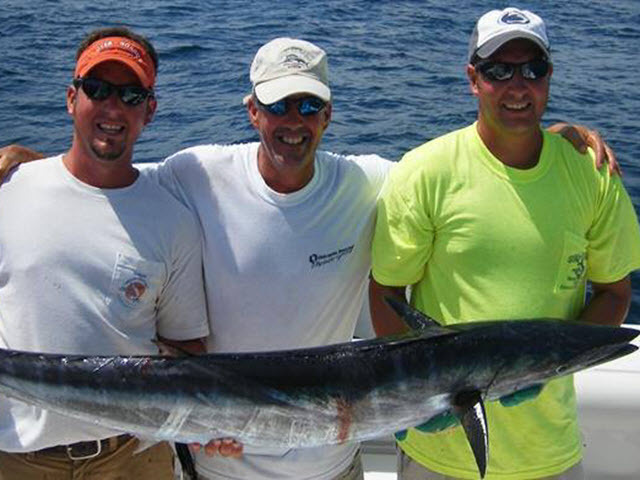 Pipe Dream Charters entered the 2015 Amelia Island Blue Water Tournament. The morning presented challenging 3'-5' seas but calmed as the day progressed and we went home with First place. 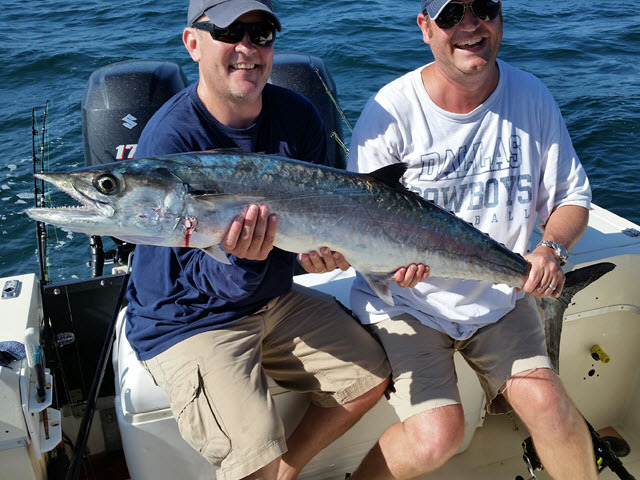 Battling this King Mackerel took two anglers and they will start going to the gym to get back in shape! 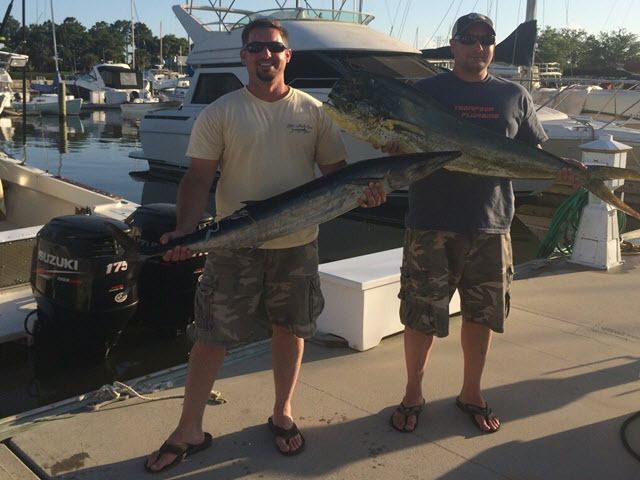 Mike, Matt and Scott set out on a hot August day fishing for King Mackerel and ended up with this nice 80 lb Wahoo. 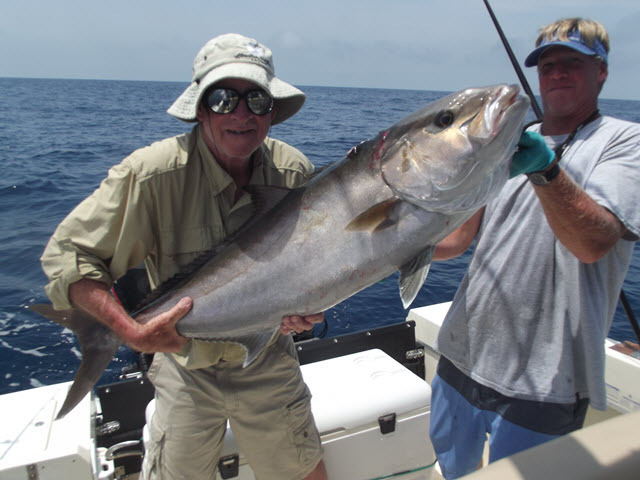 While celebrating his 70th birthday, this nice 50lb Amberjack was boated after a 30 minute battle! 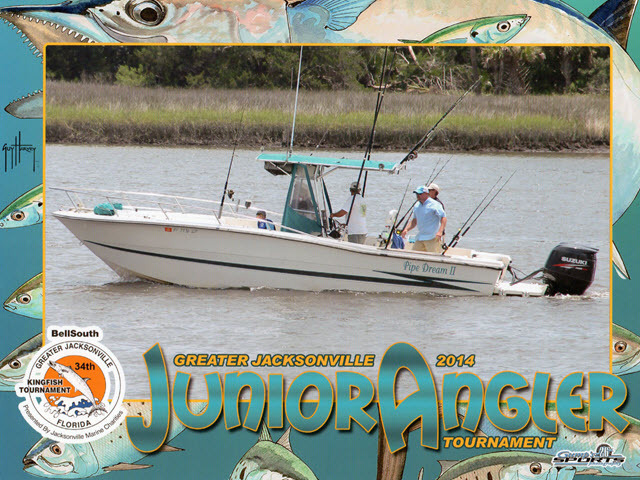 Pipe Dream Charters coming to the weigh in station for the 2014 Greater Jacksonville King Fish Tournament. Wes Combs weighs in the winning King Fish for the Junior Angler Division. 38Lbs. 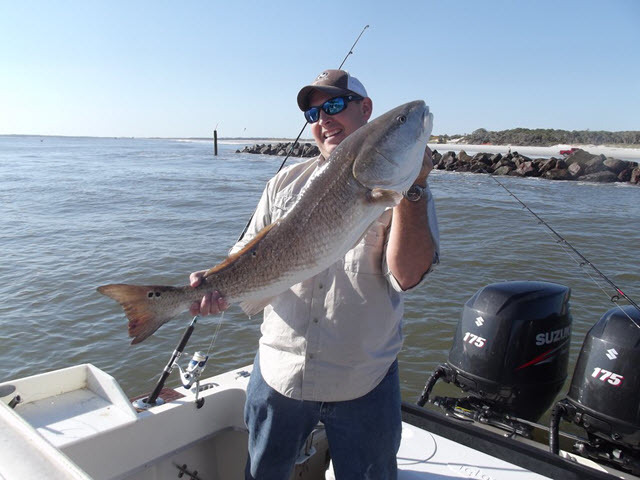 Fishing nearshore wrecks in January can produce some really nice Bull Reds. 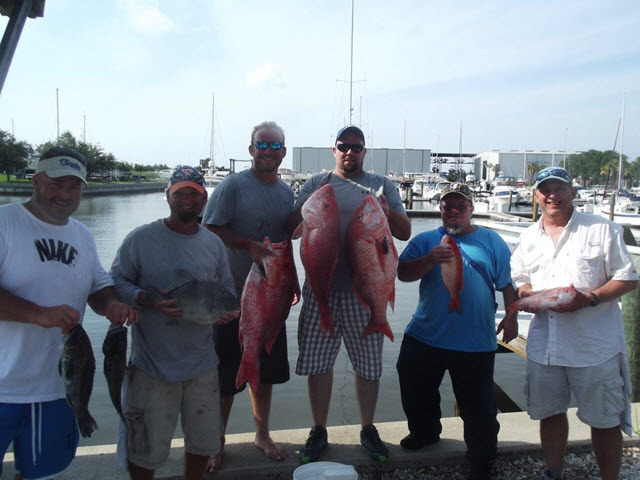 Red Snapper caught offshore at Fernandina Beach. 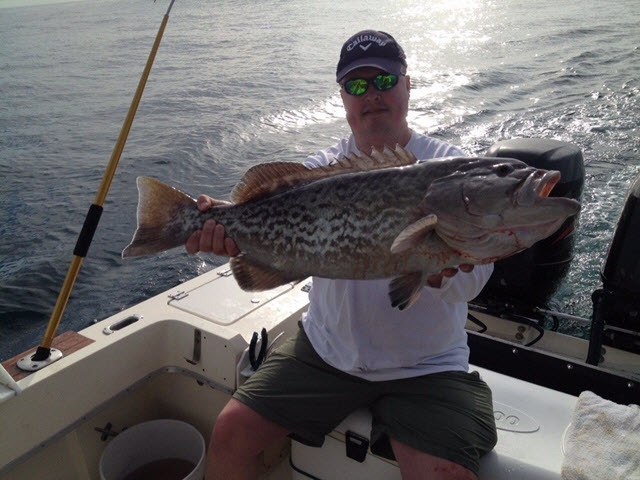 Grouper caught offshore with deep water steel jigs. The Papermill Gang featuring Red Snapper. 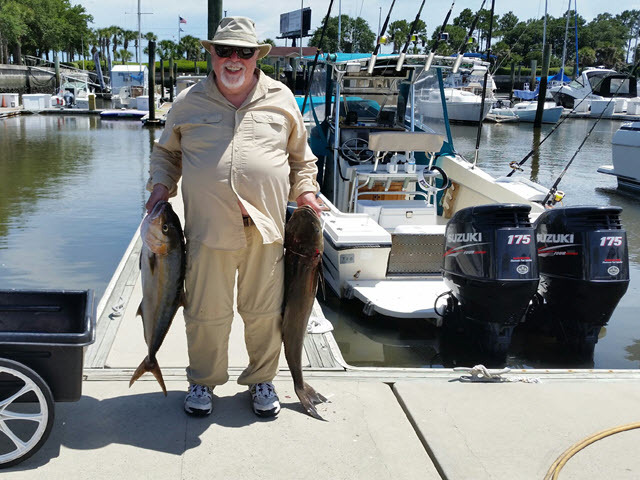 Lucky angler caught these two 40lb Cobia! 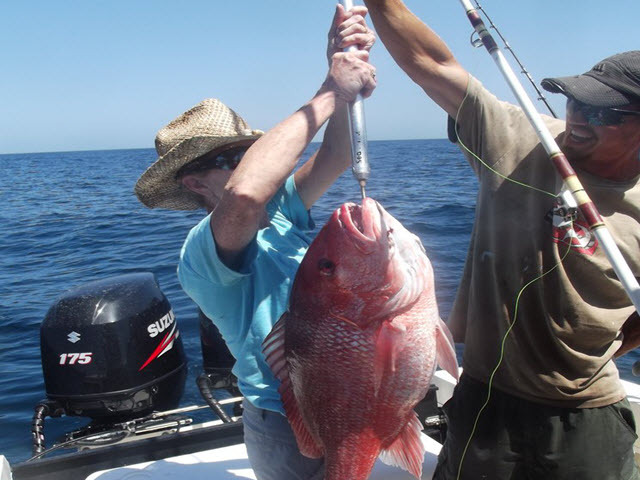 We all cried when we had to release this Trophy Red Snapper. The Paper Mill gang with another great day! 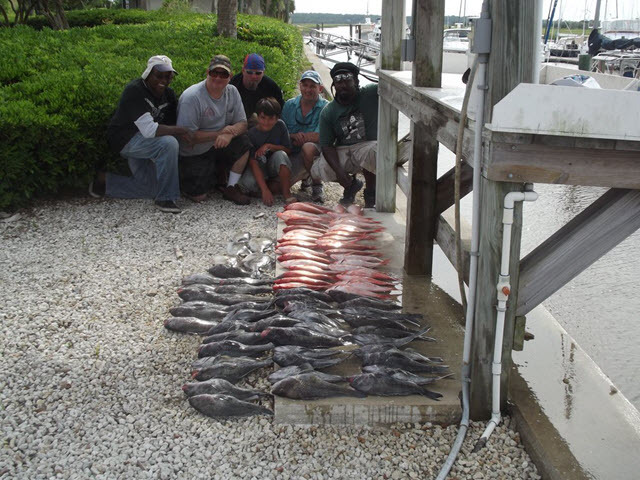 Here the salt water catch included Vermillion Snapper, Sea Bass, and Trigger Fish. 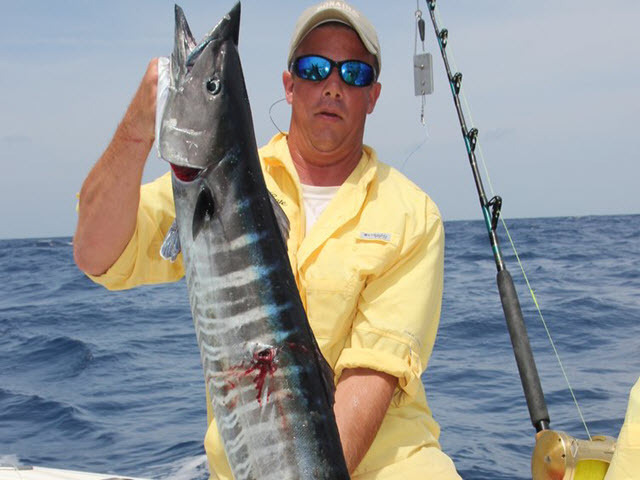 Fishing the 2013 Amelia Island Blue Water Tournament and taking 3rd place with this nice Wahoo. 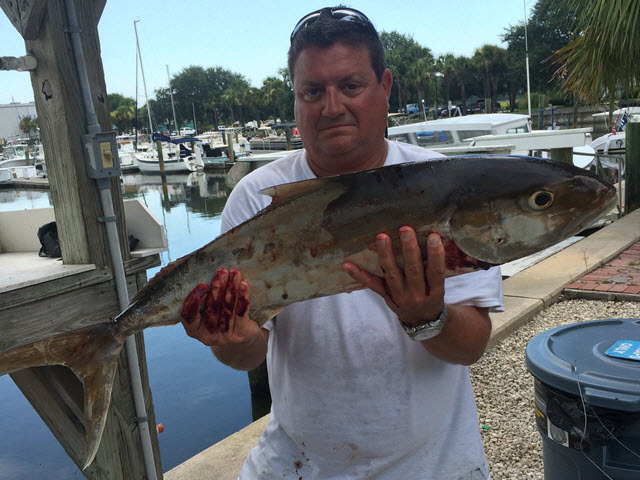 Fishing nearshore this angler boated a nice Bull Red. 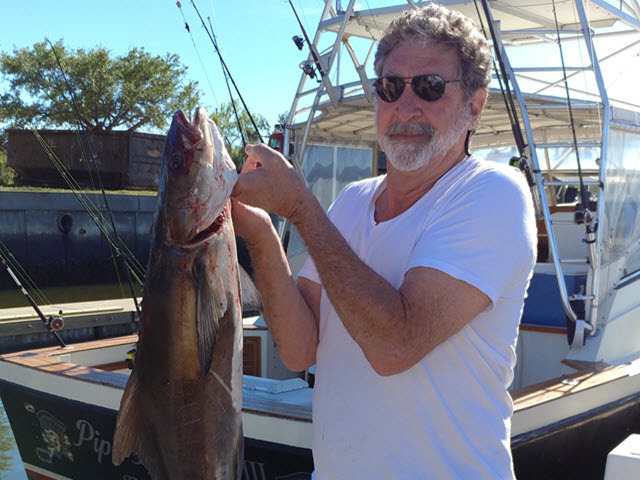 Jim Petchar from Pittsburgh, PA catches a nice Amberjack fish off Ameila Island. 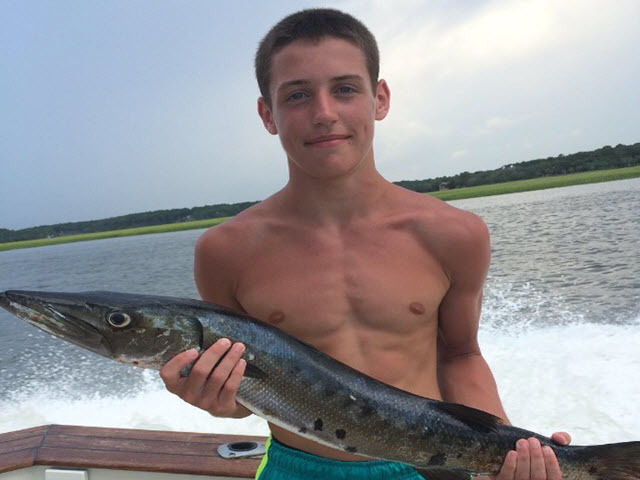 Barracuda caught by Hunter Petchar off the coast of Fernandina Beach, Amelia Island. 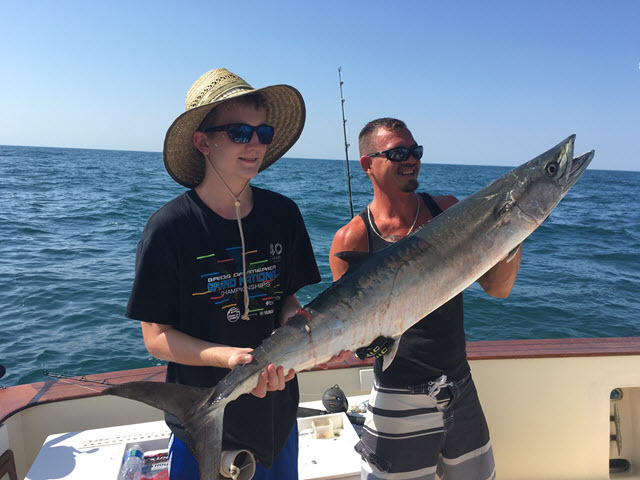 Juan Navia and son David from Lexington, KY with one of many of their catch of barracuda from their Fernandina Beach offshore fishing trip. Juan wrote, "The fishing trip was super exciting . We already tried the fillets and taste real good. 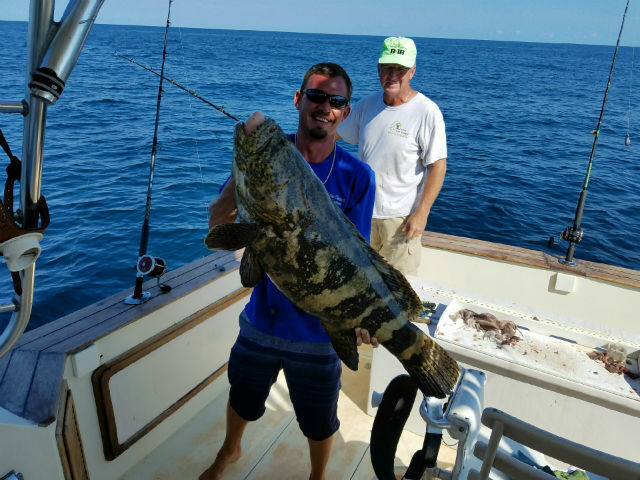 We definitely want to do it again..."
45 inch Goliath Grouper caught by Mark Eby during a fun charter fishing trip off Fernandina Beach, FL. 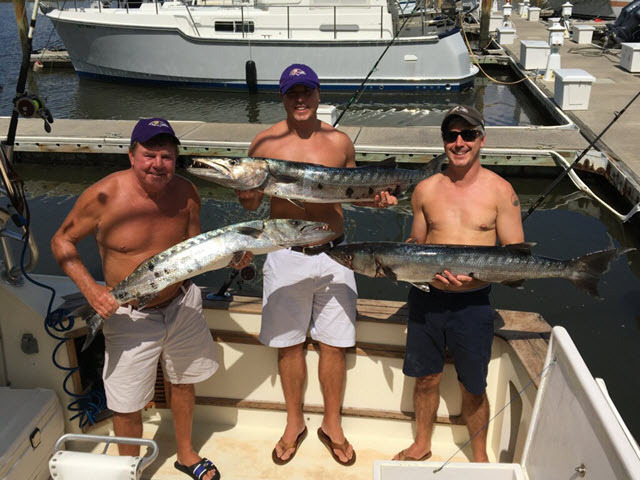 Ryan, Brandon and Richard Mollett from Baltimore, MD show off their barracuda catches of the day. "Scott - thanks for an awesome day. We had a blast. Boat was great and it was great to meet you and Jimmy. Have a fun rest of the weekend. Go Ravens!" 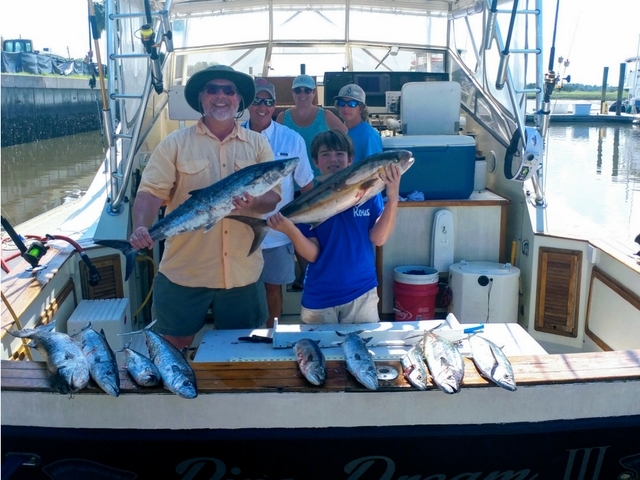 Johnny Brantley and family from Valdosta, GA had a great catch that included 9 Slotted Red Fish and 1 Barracuda! 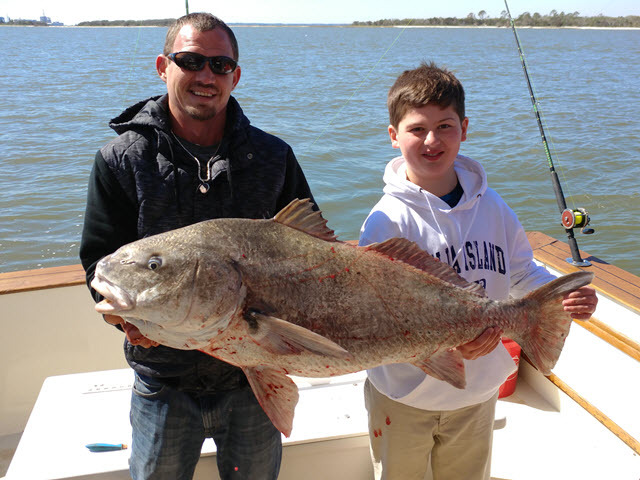 12 year old Griffin Meyers from Columbus, OH holds his proud catch of the day ... a 50lb Black Drum! 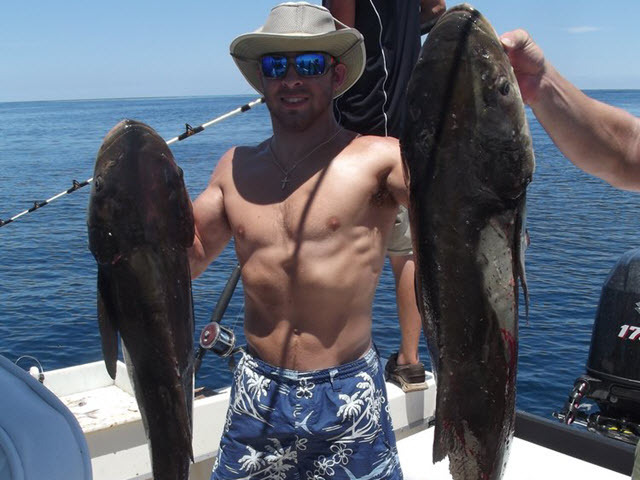 Nice Cobia caught by RL Glosson from Atlanta, GA.
William Pleasant and his son Alex from Hickory, N.C. hold their 30lb Cobia caught offshore at Amelia Island. 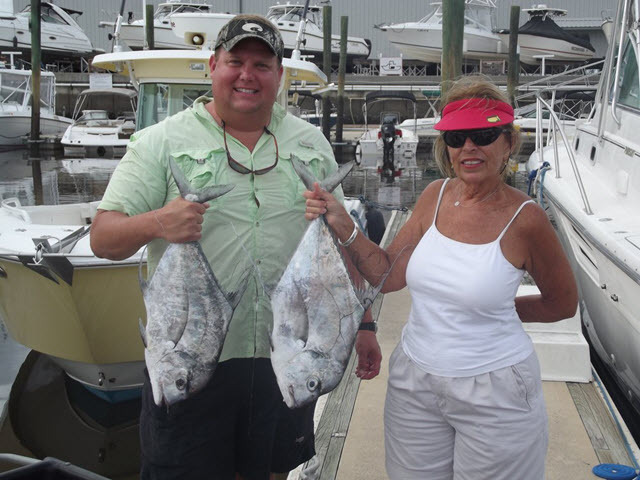 Rouse Sr., his wife Lynn and son Rouse from Valdosta, Ga. with a nice catch of King Mackerel, Barracuda, and Amberjack. 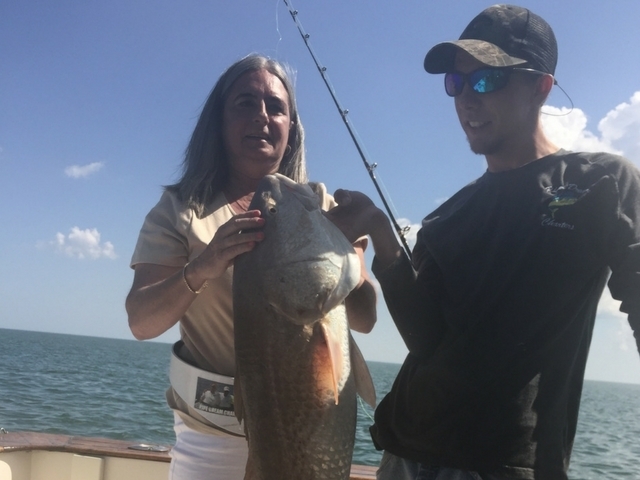 Beautiful Redfish caught offshore at Fernandina Beach by Blake and Teresa Smith of Amarillo, Texas. Gonna be eating fresh white fish tonight!